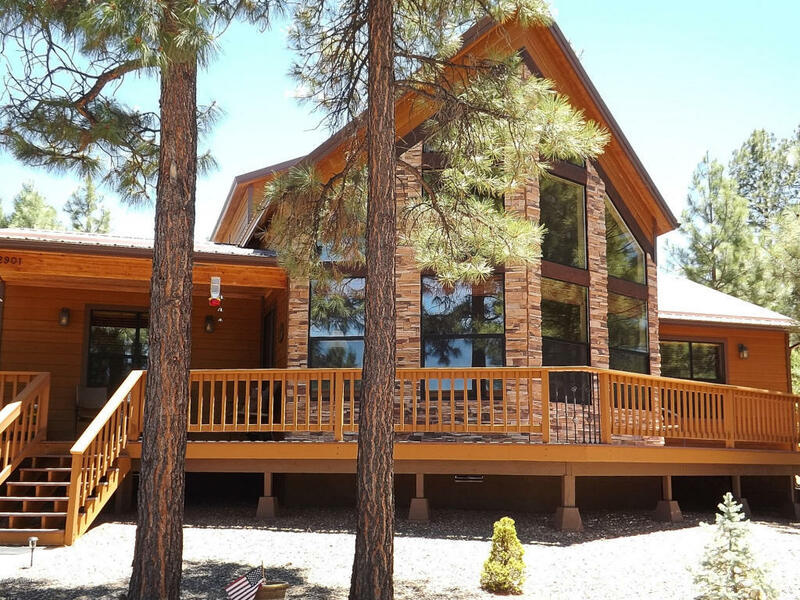 An amazing custom built 3 BR / 2 BA chalet in Forest Trails. This all electric home features a great room design with split bedrooms, a huge wall of windows, recessed kitchen lighting, ETS (high efficiency) heating, large master suite with ensuite bathroom and a very large loft. Every room is insulated and has a ceiling fan. Equally impressive, the exterior boasts cement composite siding, a metal roof, stacked stone surrounding the exterior wall of windows, a wraparound deck with Trex decking, a detached extended length 2 car garage and a cindered circular drive. This gorgeous chalet sits on a heavily treed 0.82 acre homesite in the coveted Forest Trails area of Overgaard.